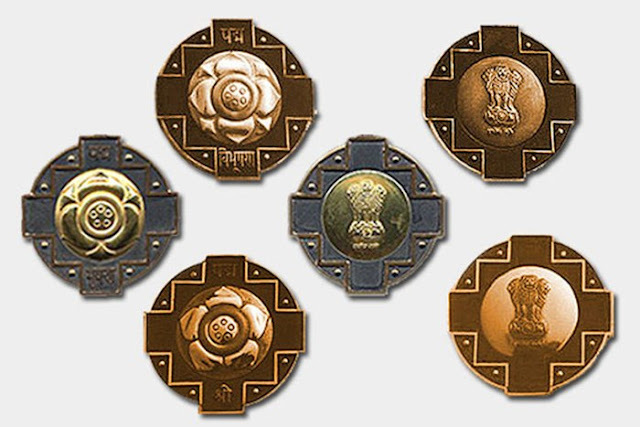 Know how to nominate someone for Padma Awards, last date of nomination and much more. Any Indian can now recommend any achiever for the prestigious Padma Awards, with the government throwing open the nomination process to general public to make it transparent and curb the crony culture of influence and lobbying. The nominations can be made online but the nominators would be required to furnish their Aadhaar details for authenticity and accountability. Opening up of the nomination process to the general public will also help in identifying unsung or lesser known people of excellence, sources said. The government has already received over 1700 nominations. Last date of nomination is September 15. Follow simple steps written below to nominate someone or yourself for Padma Awards. Click Here to read these steps in Hindi. Open www.padmaawards.gov.in website in your internet browser. 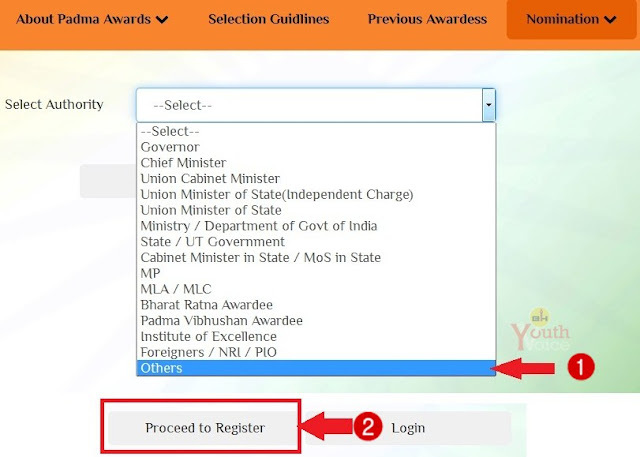 Click on "By Authority" option if you want to nominate your idol/favorite celeb for Padma Award. 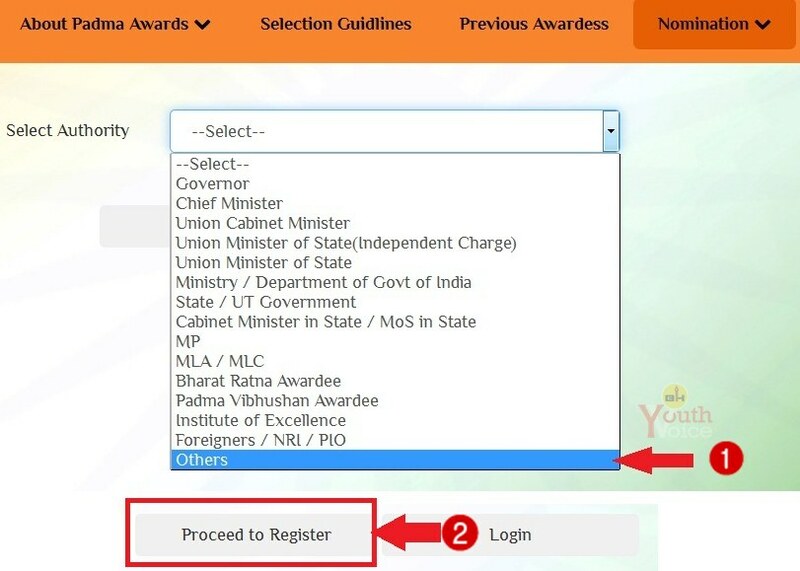 Choose "By Citizen" option only in the case where you want to nominate yourself for the award. Select from the list of the authorities and proceed to registration/login process, select "others" if you're a common man. Then "Proceed to register". Enter all the required information correctly. Make sure to enter your present mobile number, a unique username e.g kamal230992 and password must be combination of different type of characters e.g #3Three#. 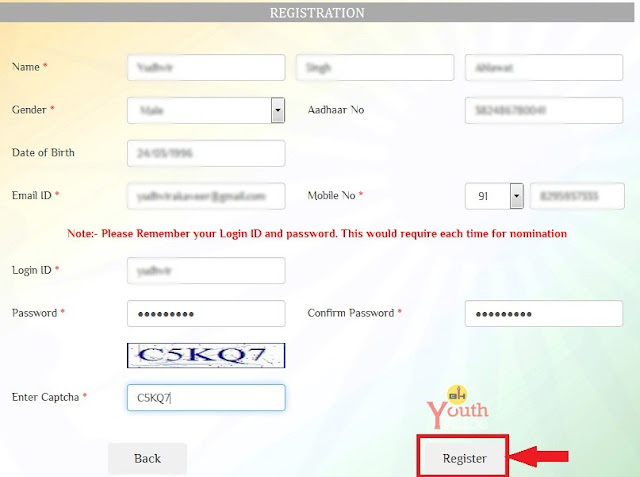 Then Click on "register". Website will send a OTP code on your mobile number, fill it in the box and click submit. Search easily by specifying field like "Social Work", Award like "Padma Vibhushan" and state e.g "Haryana". Then click on Search. Click nominate button in front of the candidate name. In citation you can provide information about your PDF file or any other details, keeping it shorter than 800 words. In Remarks, write your last statement regarding nomination in less than 250 words. Then click on upload button. As shown in pic above, you must also see the file and remarks of PDF uploaded by you in lower section of that page.